Nvidia Turing GPUs seem to be getting further and further away as we advance into 2018. In mid February we heard that they would be unveiled this month, likely at GDC 2018, which runs from 19th - 23rd March. 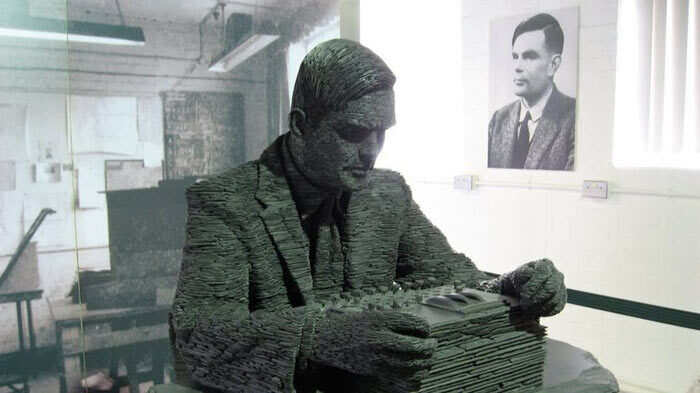 Then, earlier this month, we heard that Nvidia will only start to get Turing GPUs mass produced in June for a hard launch in August. Today, Taiwan's DigiTimes published a story saying that Turing GPUs won't be in mass production until Q3 2018. In the background to this is an expectation that crytocurrency miner demand for GPUs will cool down. There are several pressures causing such a shift, such as cryptocurrency pricing trending down (again for various reasons), and semiconductor companies offering alternative mining hardware platforms based upon ASIC products. DigiTimes reports that "Nvidia and AMD have both been decelerating the developments of their new GPU architectures and prolonging their existing GPU platforms' lifecycle". This, it is said, is the main reason for Turning GPU production/launch being pushed further away. 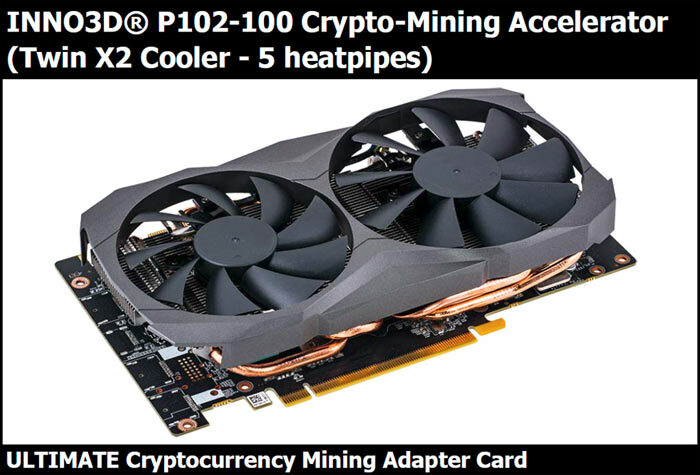 In related news, it has been noted that Inno3D has prepared a new Nvidia P102-100 Crypto Mining Card for the market (pictured above). The Crypto Mining Blog notes that this card uses a cut-down version of the silicon Nvidia based its GeForce GTX 1080 Ti upon. Remember, the GTX 1080 Ti has 3,584 CUDA cores and 11GB GDDR5X memory, but the P102-100 has only 3,200 CUDA cores and 5GB GDDR5X RAM. This product is truly targeted at crypto-miners as it features no outputs - it is even pictured without a bracket. All these statements Nvidia makes about telling retailers to not sell for mining has been a bunch of hogwash. Retailers will sell to whomever gives them the money, regardless of price. About time crypto cards separate from the gaming range, currently over-inflating 2016 technology to almost 30% over last years pricing. Ridiculous. Well, there's no point rushing from NVidia's perspective! A shame driver/bios can not be written than would gimp the performance of a gaming card if it detected mining operations, only way for miners to use gfx cards would be dedicated mining cards like above. It seems to be the retailers who are cashing in more…. As of October I will be back in the market for a GPU, so Q3 looks good to me, I will be looking to replace the 1070 with something on par with or better than the 1080ti (The 1070 is going to my son), I just hope that mining does stall and that the prices normalize accordingly before then or I will hang on to the 1070 for another couple of years and stick to 1080p gaming, the 1070 still costs over £100 more than I paid for it even now!